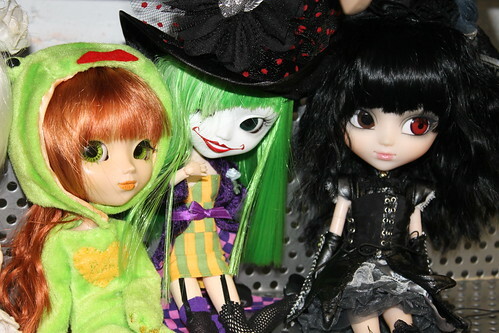 This past Saturday, I attended a doll meet at Animadness. 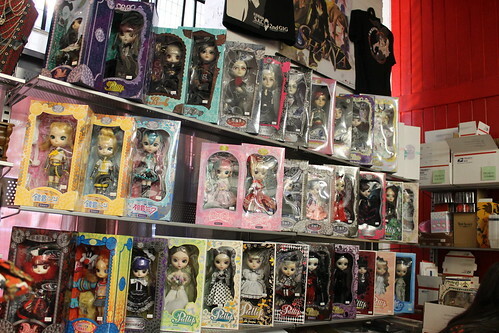 Animadness is an anime store in Waltham, MA that also happens to regularly stock pullip. Although the meet ended up being a bit smaller than expected (normally we get around 12-15 people, this time 6) it was still a good meet. 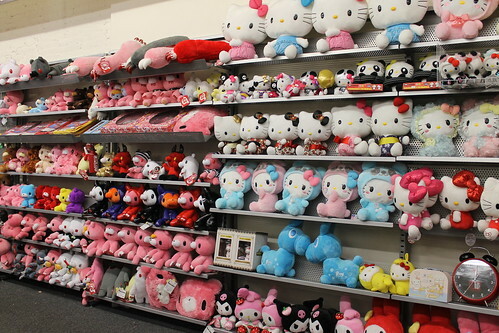 Normally during the meets we make a wall of dolls, our doll wall wasn’t quite as impressive as it normally is but there was still a pretty diverse group of dolls at the meet. 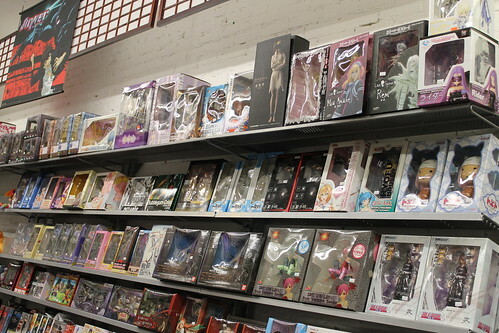 First some obligatory store pictures… I was unfortunately on a limited budget as I had just bought a new camera earlier in the week and then I got some unexpected preordered items are now in stock emails that morning >_< There were a lot of new figures I really wanted like the Dead Master Animation Version but sadly they will have to wait until my next visit. 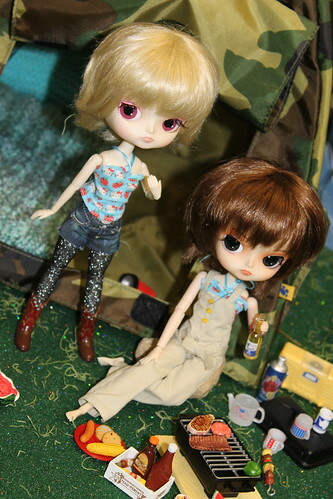 Now unto the meet…The theme this time around was camping, my Jouet Joey was amused with her new friend and their shared taste in Hello Kitty clothing. 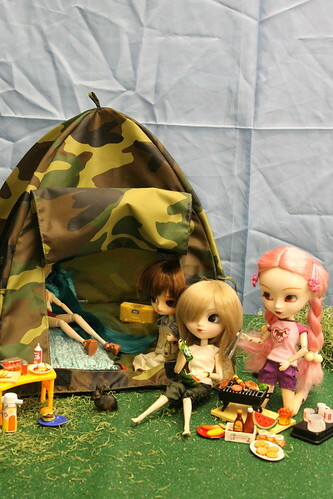 I was rather impressed with the tent, which I was told came from Buildabear of all places. 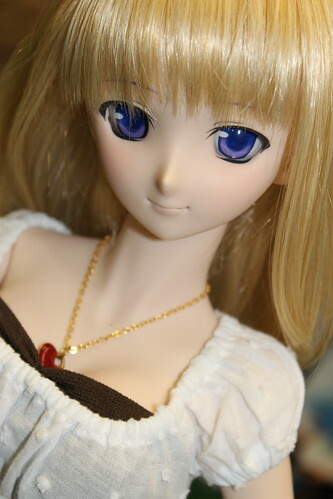 I was really super excited to meet Sushi_n_Sake a fellow Dollfie Dream collector, he brought along his super lovely Sakura DD. I’ve not really had the chance to meet with many other DD collectors so it was nice to be able to chat with another collector. Nightfall also brought along her new Leroy byul, I am absolutely in love with Leroy and dying with anticipation waiting for mine to get here. I actually stopped at Requiemart‘s on the way to Animadness to pick up Duela, so she made her debut at the meet. This entry was posted in 2011- 365 Toy Project, byul, Dal, Doll, Pullip and tagged animadness, anime figure, black rock shooter, byul, Dal, ddung, doll meet, Dollfie Dream, figma. 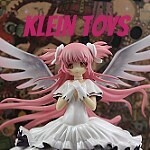 pinky street, nendoroid, Pullip, pullip meet, sakura, vocaloid. Bookmark the permalink. 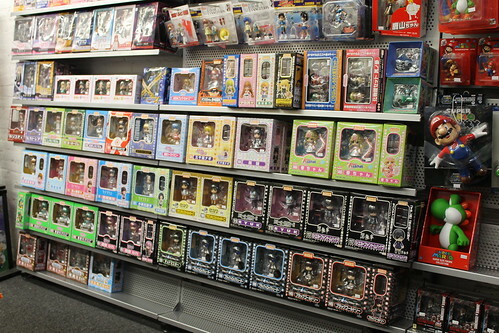 As much as I like the Dead Master figure, I have a real concern about how much actual space it will take up if I get it. 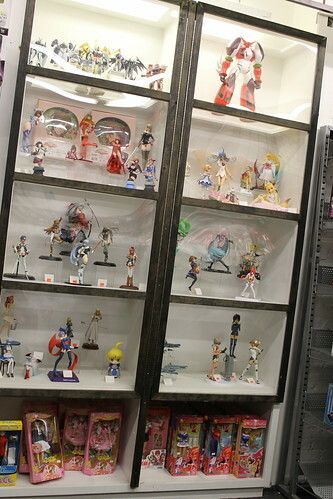 I really don’t have room for many more figures so I have to be super picky. 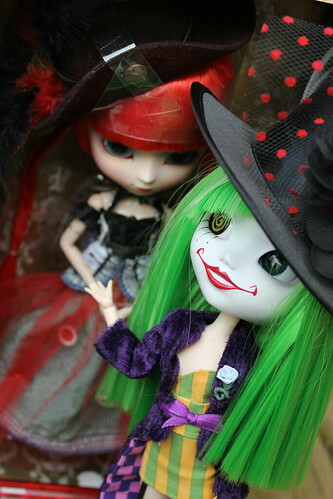 In general, newer pullips will range from around $90 for a regular release to $120 or so for a collaboration (HellCatPunk etc). 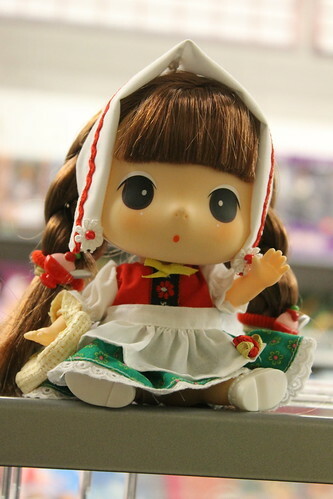 Older or sold out dolls can vary depending on how popular they are some can be had for quite cheap like Withered can normally be found in the $70 range while other older dolls can be several hundred dollars. Chelsea is sold out pretty much everywhere, she is extremely popular and a collaboration besides so NRFB I would probably say $200 these days (neither Pullipstyle or Animadness has her in stock anymore). 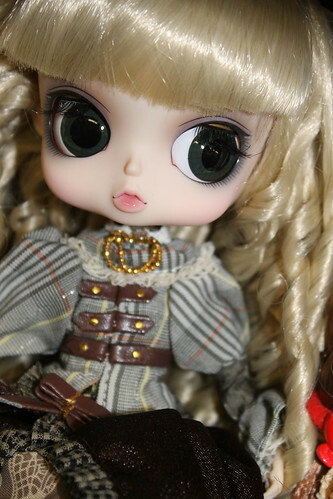 Pullipstyle is extremely reasonable with their prices, Animadness is pretty competitive as well.